The most trusted school ! 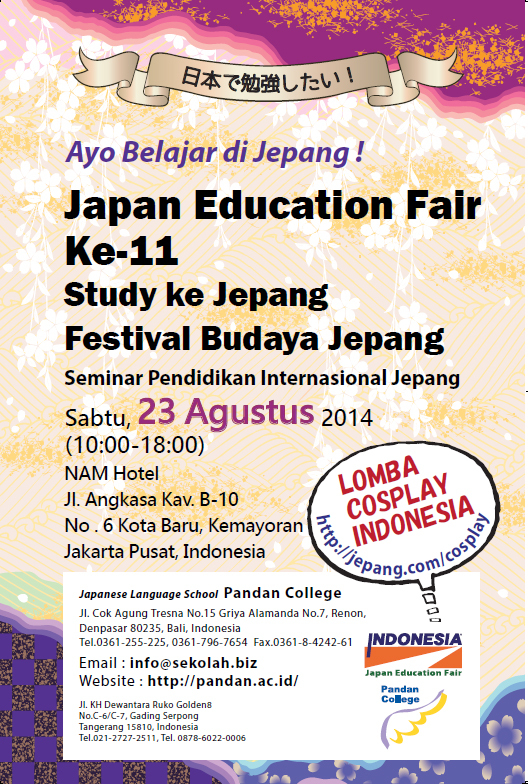 We are the only one school in Indonesia that having alot of school partners in Japan. More than 60 schools in Japan are our partners. Starting from Senior High School, Japanese Language Schools, Universities (both government university and private universities). A very clear evident that Pandan College is the most trusted school in Japan nowadays and also the best window to enter Japan for all students in Indonesia. Trust us to trust you and making your son and or your daughter to become the best person in the school, a better future for your children only with us.